This is a nursing home negligence lawsuit filed on behalf of the family of a man in Baltimore City who died after swallowing a penny. This wrongful death claim was filed in Health Claims Arbitration on March 17, 2017, and is the 123rd medical malpractice case filed in Maryland in 2017. A man is a long-term resident of defendant Westgate Hills Rehabilitation Center, a very average ranked nursing home in Baltimore City. He is bedbound, immobile, cognitively impaired, and dependent on the use of a feeding tube and colostomy bag. After about six years, he is allowed to swallow a penny while only being fed and given water through a feeding tube. His family alleges that as a result of the defendant's negligence, he suffered permanent injuries. These include lacerations to his esophagus, a block to his gastrointestinal tract, and hospitalizations. As a result of these injuries, the man died. 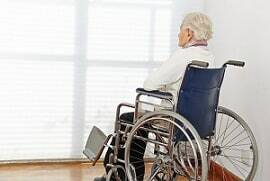 The family's nursing home lawyers claim that if defendant had provided care that was within the medical standard, the man would have enjoyed a normal life expectancy in accordance with his condition. Obstruction of the upper airway by food or other foreign objects is a well-known cause of sudden unexpected death. It is surprising there is no claim that instruments to extract foreign objects should be readily available in nursing homes. Arguably a nursing home should have rat-tooth forceps to remove coins that particularly kids tend to swallow. Perhaps the man died long before anyone was in position to try to extract the coin. Big questions that have to be answered: how did the coin get in his room and how long was it there? We try to speak frankly about how juries will view the medical malpractice cases we summarize. Are there some jurors who are going to believe that young man led a very difficult life and is no better off? Even if they believe that, might so angry at the nursing home they focus instead on their mistakes? If you or someone you know has suffered due to the negligence of a doctor or nursing home staff, the lawyers at Miller & Zois can help you. Miller & Zois has a very long history of results in nursing home negligence cases in Maryland, earning large verdicts and settlements. Call us today at 800-553-8082 or get a free online case review.